In an attempt to rival Amazon’s Audible, Google finally introduced audiobooks on the Play Store earlier last week. It’s now looking to attract users to its new service by resorting to Marketing 101 — offering a free audiobook to Google Home smart speaker owners. According to several Google Home users, they’ve received an email from the search giant and they’ve been awarded a complimentary audiobook to celebrate the launch of the audiobook section of Play Store. The official email from Google mentions that you are being offered the freebie for owning a Google Home smart speaker and subscribing to its newsletter. This is not a lifetime offer, as you’d expect. Your chance to grab a free audiobook from ‘limited eligible titles’ will expire this coming Friday, i.e February 9. It means you have to act fast on making a selection for a casual reading session over the weekend. 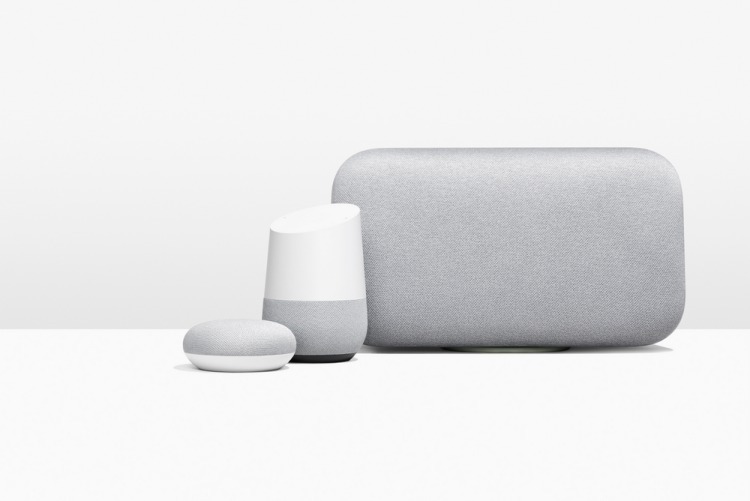 You can even listen to them via loudspeaker before you go to bed, simply by saying “Hey Google, Read my book” to the Google Assistant. 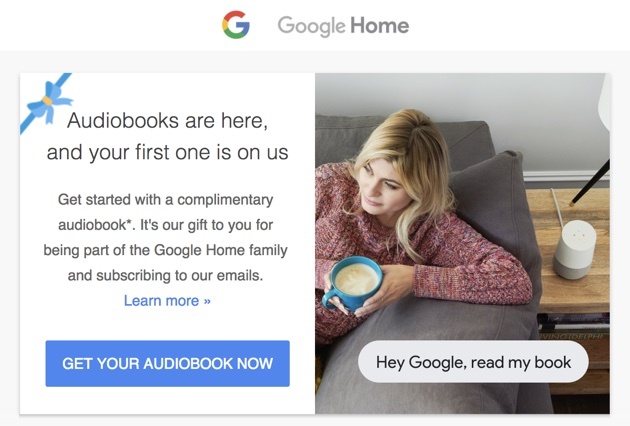 It is obvious that everybody loves free stuff and Google offering a free audiobook gives Google Home owners an incentive to download and listen to at least one of them. The search giant is thinking that you may love the experience of listening to your favorite books and that you’d be willing to pay for future releases. So, go ahead and check your email for the official message about a free audiobook from Google. Which book do you look forward to listening to this weekend? Let us know in the comments below.